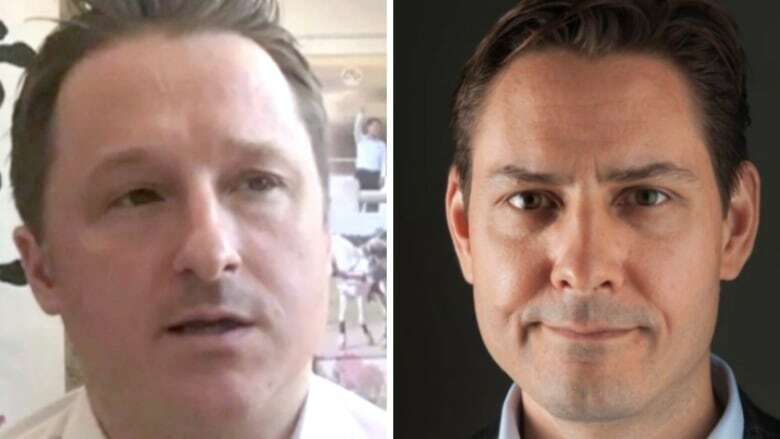 China is sending the wrong message to the international investment community with its recent move to arrest and detain two Canadians on suspicion of endangering national security, says the employer of one of the detained men. "I'm focused on getting him out and one thing I can say for sure, the one thing he wasn't doing is endangering China's national security," said Robert Malley, president and CEO of the International Crisis Group. Former Canadian diplomat Michael Kovrig was in China working for the Brussels-based think-tank when he was taken into custody by Chinese authorities last month. "China's economy is facing some headwinds and so is going to want to attract businesspeople, is going to want to show it's open for normal business," Malley told CBC News. "Now is not the time to have a little asterisk near that 'Open for business' [sign] saying, 'Open for business, but you can't be sure what's going to happen to those of you who come here.'" Kovrig and entrepreneur Michael Spavor were taken into custody separately in early December, shortly after Canadian officials arrested Meng Wanzhou, chief financial officer for Huawei Technologies. Meng was detained in Vancouver on Dec. 1 for extradition at the request of U.S. officials, who accuse Huawei — a leading global supplier of telecommunications equipment — of using a Hong Kong shell company to sell equipment to Iran in violation of American sanctions. Canadian officials were quick to push back against the detentions of Kovrig and Spavor. Foreign Affairs Minister Chrystia Freeland said the government is "deeply concerned" by the "arbitrary detention" of the two men. Malley said his company is working to secure his employee's freedom. "Michael [Kovrig] was not doing anything that other people would not have been doing," he said. Malley said Kovrig was in China to talk to officials and members of the diplomatic community about the situation on the Korean peninsula and China's investments in Africa. During a rare news conference on Thursday in Beijing, China's top prosecutor, Zhang Jun, weighed in on Kovrig and Spavor's detention, saying "there is no doubt" the two Canadians "violated the laws of our country." "Now, it is proper for them to be investigated," Zhang said. "I believe the case will move forward in accordance with the procedures." Malley said he wouldn't comment on whether China is a safe destination for business travellers, but argued the Chinese are playing this situation badly. "This is not the message they want to be sending," he said, adding that if the two men were to be released soon, it would send a reassuring signal to the international business community. According to Statistics Canada, Canada imported $45.4 billion in goods and services from China in 2017, while exporting $28.8 billion to China. While Freeland wouldn't say whether the Canadians' detentions look like retaliation for Meng's arrest, she said it would be "highly inappropriate" if that were the case. China has suggested Canada's allies are hypocrites for expressing concern about the detention of the two Canadians while not speaking out against Meng's arrest in Vancouver. Despite the current state of tension between Ottawa and Beijing, Canadian senators and MPs will be visiting China this week on a trip hosted by the Canada-China Legislative Association. Senators Victor Oh and Joseph Day, and MPs Michael Cooper, Geng Tan, Majid Jowhari and Chandra Arya will arrive in China on Jan. 5.